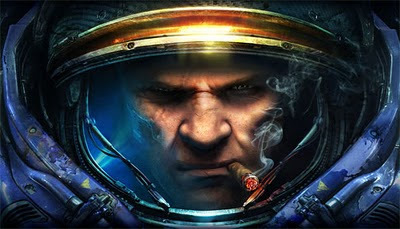 To celebrate the launch of StarCraft II we have received two copies of the game to give away to lucky readers. The copies have been provided to us courtesy of Future Shop (thanks!). All you have to do is send an email to contest@nextgenplayer.com with your favourite StarCraft II race in the subject line. Eligible subject lines are "Terran", "Protoss" and "Zerg". You must also include your full name, mailing address, age and skill test answer in the email otherwise your entry will be void. SKILL TEST QUESTION: (8 + 6 - 4) / 2 = ? Two (2) random winners will be drawn on Thursday, July 29, 2010 at 11:59pm Eastern and the winners will be contacted via email with prize details. This contest is open to all legal residents of Canada (excluding residents in Quebec). You must be 18 years or older to enter the contest. For more details on our general contest rules, click here. "Two (2) random winners will be drawn on Thursday, August 29, 2010 at 11:59pm Eastern"
is this contest until Sunday, August 29th or Thursday, July 29th? Updated, thanks. The correct date is July 29th. Oo, oo, I hope I win! I guess I didn't win, too bad.